Our factory is SGS, ISO and ITS certificated which serves the customers from all over the world such as Europe, North America, Russia and etc. We pay great attention to every detail of the products, including production, testing, packing and etc so as to secure every product to be elegant and durable. 2. Shoulder strap max: approx. 36.2" width: 2"-2.75"
3. Sternum strap max: approx.13.38" width: approx.0.78"
4. Waist strap max: approx. 51.2" width: approx. 2"
If any questions, please feel free to contact WIDEWAY team by email. WIDEWAY tries our best to be better together with you! 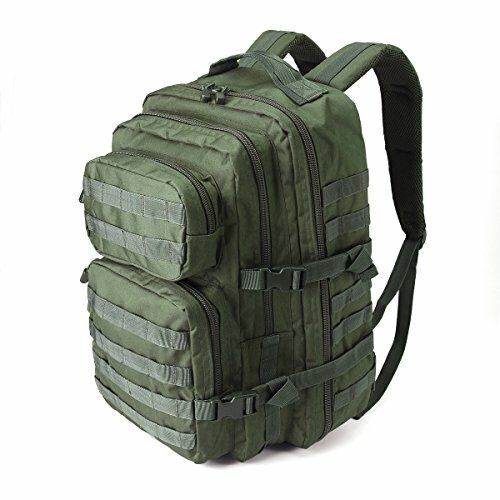 ?LOVE AT FIRST SIGHT: WIDEWAY tactical backpack use high intensity durable 1000D polyester PU material with double stitching, utility-style cord pulls and flawless construction, best military survival assault gear backpacking and daypack bugout rucksack. ?50L CAPACITIES: WIDEWAY tactical gear, approx. 11"*18.5"*13" (W*H*D), provides enough room in the 4 compartments with outer pouch, zipper pockets, internal dividers and ventilated padded back panel reaching 50L, very popular for extra large capacity and also water resistant sturdy expandable spacious. ?3 ADJUSTABLE STRAPS: WIDEWAY tactical hydration pack, fully adjustable compression shoulder strap, sternum strap and waist strap with mesh padding, aids in comfort expansion and consolidation. For shoulder strap, the smallest length that can be achieved is 19.68"; for waist strap, the smallest length is 11.02" and detachable. 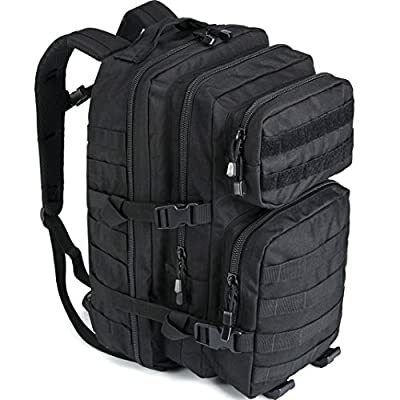 ?MOLLE WEBBING: WIDEWAY tactical molle backpacking works for attaching additional pouches or storing extra outdoor gear such as sleeping bag, water bottles, work boots, camera, tablet, laptop and other odds and ends, making it the excellent pack for a bugout or 3 day assault pack. 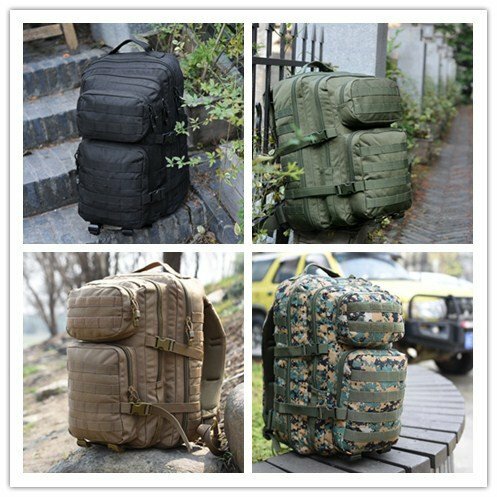 ?JUST FOR YOU: WIDEWAY tactical range backpack is suitable for complex environment, a variety of different outfits and casual styles such as school, outdoor, running, hiking, camping, hunting, cycling, traveling, climbing and so on, good choice for men and women.